Our sense of smell is an impressive thing. We smell a certain perfume and it triggers powerful memories of our grandmother’s house from 30 years ago. We get a whiff of fresh baked cookies and our mouths start to water. Smell even works as an alarm for when it is time to do laundry, thanks to a quick sniff of our shirt. There is one smell that I have always wondered about. One particular scent that I can’t quite put my finger on. It evokes an image of an unblemished pile of metal and it has become a top seller in the fragrance market. I’m talking about new car smell. What exactly is it? And why is it unique to cars? As far as I know, people aren’t buying new house or new shoe air fresheners. What is it about the scent that comes with shiny plastic seats on a Ford Taurus that we love so much? 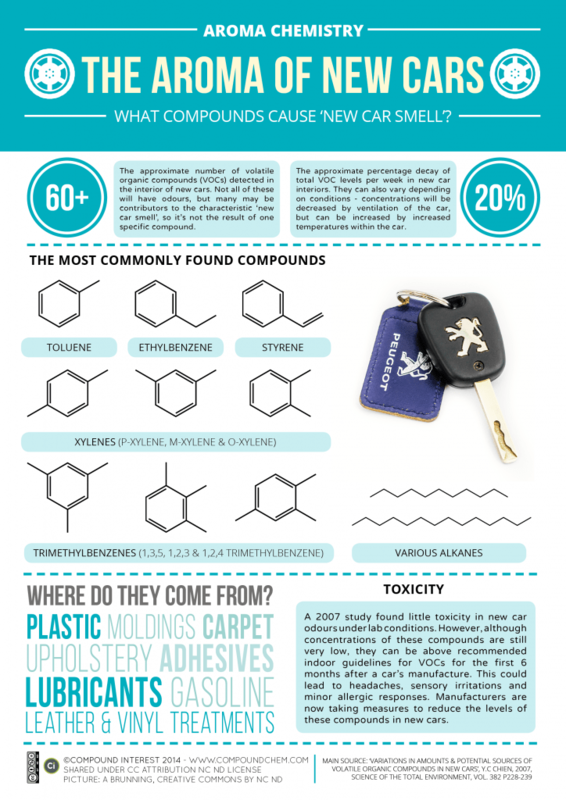 Wonder Why Wednesday: Where Does New Car Smell Come From? Thanks a lot Wikipedia. Yes, I guess I should have expected that, but I was looking for something a little more in-depth. That seems like a very complex answer, but I have come up with a way to simplify it so we can always remember. The smell created by Xylenes and Trimethylbenzenes is just like the Fast and the Furious movies. Both are attached to new cars and people love them, despite the fact that they may lead to headaches, sensory irritations and minor allergic responses. < Previous If This Is True, Why Am I Not Albert Einstein? Next > Who Wants To Help?